Lots of love to indoor studios, but the summer weather is calling fitness enthusiasts into the great outdoors...even when that great outdoors is in the middle of a city. Such is the case with Los Angeles’s Open Sky Fitness: Sky Fit Boot Camp. This outdoor group fitness class makes use of the natural surroundings in LA’s La Brea Tar Pits Park to make working out both fun and challenging. 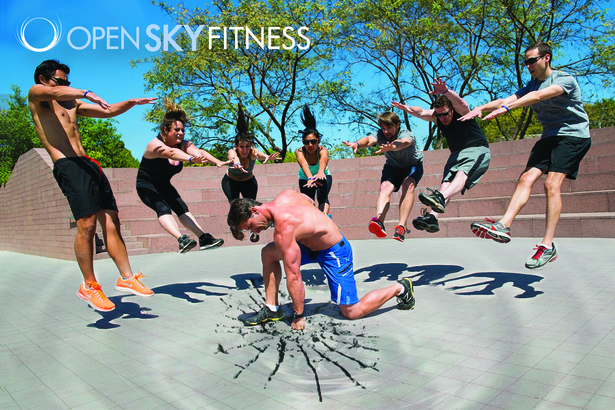 The sun is out and the competition is friendly: it’s time to check out Sky Fit Boot Camp by Open Sky Fitness! Why It’s So Effective: By combining cardio blasts, agility training and strength exercises that employ medicine balls, the body’s natural resistance and resistance bands, a trainer keeps the clients moving and sweating through the hour-long class. Classes start with a cardio warm-up, continue with a prescribed mix of cardio and strength drills and end with the timed challenge of the day (which have been known to include burpees, running with medicine balls...and even the occasional game of cardio tag). No two classes are the same, but each one gives individuals a full body workout. Afraid losing the weights will minimize strength training? It’s just not so: In addition to working a targeted muscle group, non-weighted strength drills challenge often overlooked – but incredibly important - stabilizer muscles. Put Your Shoes On and Stay For Awhile: Sure, clients can drop in sporadically to Sky Fit Boot Camp classes, but individuals who are looking to make a lifestyle change will truly benefit from making a longer-term commitment to the program. In addition to the obvious benefit of working out more frequently, the group that meets for this daily class has built a community atmosphere that’s both supportive and competitive. Want to sprint past someone during a drill? Just be ready to give them a high five afterward. Beyond the Sky Boot Camp, Open Sky Fitness services clients with holistic nutrition counseling and private training. 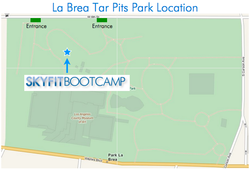 Know Before You Go: Easy metered parking is available along 6th is the closest point to the boot camp’s meeting point. A limited number of mats are available to borrow, but bringing your own is your best bet. Classes meet outside, right behind LACMA (see map). Speaking of the great outdoors: be prepared for the elements and layer on the SPF for the sunny Southern California (Open) sky. 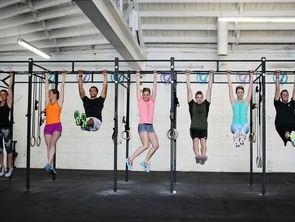 Advice for First Timers: Those with experience in group fitness classes, or who are confident in their fitness ability are set to have the greatest success in their first Sky Boot Camp class. All levels are welcome, however and will be encouraged to build on their personal best. New to fitness in general? Consider working up to Sky Boot Camp through private sessions prior to the class. Ready to check out a class? 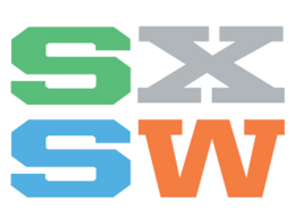 See Open Sky Fitness' schedule here.